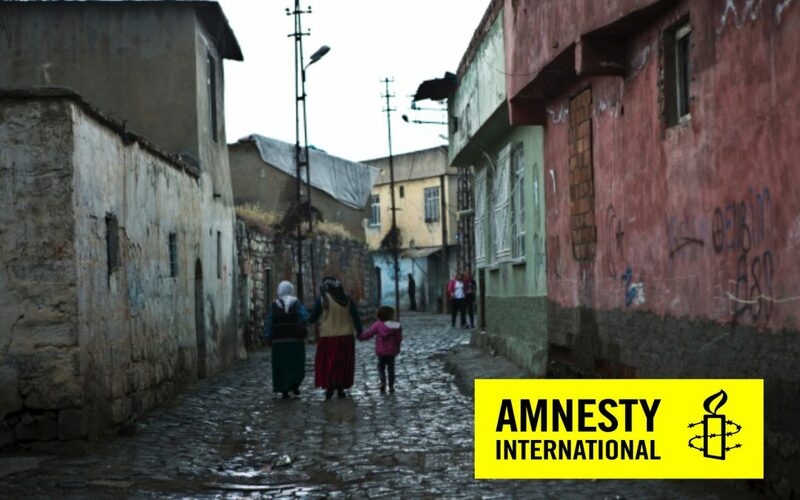 Hundreds of residents in the Alipaşa and Lalebey neighborhoods of the Sur district in Diyarbakır province are at imminent risk of forced eviction, Amnestry International said in an urgent action call on Thursday, urging Turkish government to halt forced evictions. Turkish government has been calling on Sur residents to evacuate their homes as part of a redevelopment project that was launched after clashes between military and the outlawed Kurdistan Workers’ Party (PKK). “Since 23 May, during the fasting month of Ramadan, water and electricity supplies to residents’ homes were cut off in an apparent attempt to force them out,” the statement said adding that they were earlier subjected to round-to-clock curfews due to the clashes from Dec 2015 to Mar 2016. Below is the rest of Amnesty’s statement. “Tens of thousands of residents were displaced and many have still not been able to return. Residents of Alipaşa and Lalebey returned to their homes after being displaced for up to six months. In March 2016, a compulsory purchase order was issued affecting all 16 Sur neighbourhoods as part of a redevelopment project that affects the entire district. Inhabitants began receiving eviction notices in December, demanding that they vacate their homes within one week, but most residents remained. Lawyers and residents told Amnesty International that they were verbally notified that the demolitions would start in April 2017. At the end of April residents reported loud speaker announcements from mosques demanding them to evacuate their homes within seven days. On 23 May, water and electricity supplies were cut off and partial demolition of already evacuated homes started. “Residents told Amnesty International that they had not been genuinely consulted about the plans or offered alternative housing or adequate compensation for their losses. All residents reported deep fear and anxiety as to an uncertain future, whilst expressing their wish to remain in their neighborhoods where they had strong community and family ties, and depend on the area for their livelihoods and children’s education.